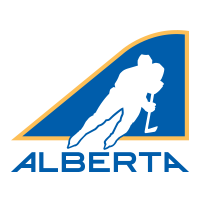 If you are looking for a clinic that is being hosted in the area please CLICK HERE or check Hockey Alberta's website under "Clinics -> Dates & Times"
Please read the Hockey Alberta courses description & requirements as some courses have an online component that must be done prior to registering for the coach course! LMHA carded coaches that require to take clinics for their team requirements are eligible for reimbursement from Leduc Minor Hockey. Please contact Cindy Beck if you have any questions regarding team requirements. To receive a reimbursement - please fill out the following form https://goo.gl/forms/HGAie6Y4sdudgfWm2 and email your receipts to treasurer@lmha.ab.ca. PLEASE NOTE: Coach reimbursements need to be sent in prior to December 15th- Any receipts submitted after that date will not receive a reimbursement - NO EXCEPTIONS.